D’Onta Foreman is another banger dropped into this year’s class of RBs. He is big (6’1 245) and physical, running mostly between the tackles. He has times where he looks lost in pass protection, but I don’t foresee him being asked to do much in the passing game at the next level. Foreman is not classically fast, but does pick up speed through the hole deceptively well. He won’t break away from the defense, but builds inertia fast enough to produce some chunk runs. Foreman’s greatest asset is his motor; he constantly keeps his legs driving at the end of runs, routinely producing two or three extra yards. He has good vision on inside runs, and often runs to and through first contact. He seems to relish in punishing defenders; an arm tackle doesn’t slow him at all. He is very strong with the ball as well. Foreman’s tendency to bounce off first contact and get yards that seem to appear out of nowhere remind me of Legarrette Blount’s rushing style. He is a grinder, but will fight to gain more than what is blocked. 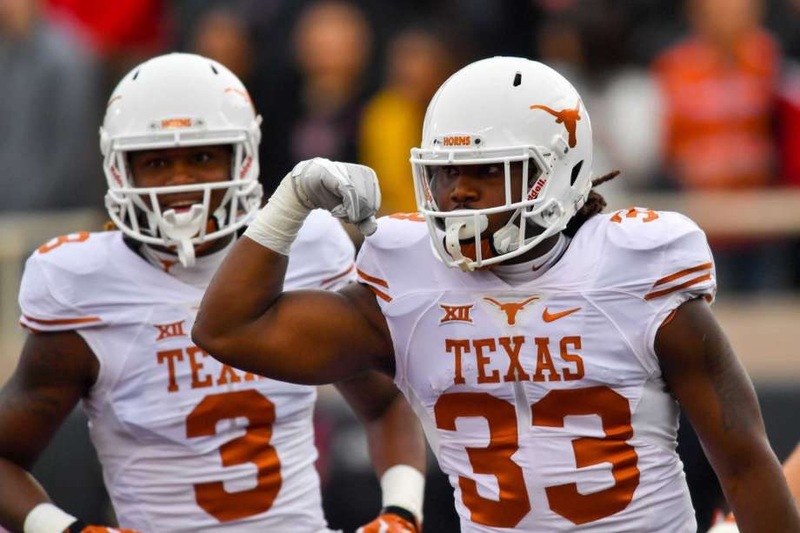 While tremendous inside, Foreman’s game lacks any versatility. He does not have the speed or elusiveness to get to the edge, and struggles to transition laterally to vertically. He was rarely asked to play a part in Texas’s receiving game; both his catch ability and his pass blocking suffer for this. There are instances where Foreman does not explode to the hole- not because of his patience, but seemingly because of lack of short area quickness. Foreman also battled nagging soft tissue groin issues, which could be a minor red flag.